Real-time departures. Transit maps. Line status and real-time disruption alerts. Uber integration. Bike routing and live bike share info. Constant updates. Everything you need -- and may not even realize you need -- to manage your life in the city. * "Best app on my phone." * "It’s reason alone to get an iPhone. It's that good." * "I'm practically married to this app." * "Don't know how I lived without it." * "This app makes me warm inside." * "The only true five star app." * "Support for the SF Bay Area is particularly impressive because it aggregates all transit systems imaginable (BART, Caltrain, MUNI, VTA, etc.) into one seamless app." * "Best app for getting directions and ride on the MTA New York City." * "Life changing. This app really changes the way you travel." * "This is my favorite transit app. Full-featured and a breeze to use. I really appreciate the Uber integration." Please note that the app requires data access and works best with GPS / location on. Also, continued use of GPS running in the background can dramatically decrease battery life. Background GPS is only used when in ‘GO' navigation mode. Serving urban centers as diverse as London, Lyon, Boston, and Tokyo, Citymapper aims to make city travel as stress-free as possible. And, rather brilliantly, it manages it. Plugging in a desired destination (“home” and “work” can be saved, usefully) serves up every imaginable method of getting there, including a nice Uber sync-up. It also displays costs, live departure times, duration, and calories. Our favorite feature, however? The option to discover how long it’d take to get where you’re going by jetpack and teleportation. One day, Citymapper. One day. It killed my 5S. To the point where a hard reset was my only way to contacting it again. It did this many times. Oddly, it's quite limited in picking your preferred mode of transportation (not everybody has the stomach for "sling" or the money for "teleporter"), so, say, I'd prefer the overground in London, citymapper will send me out of my way on the tube to save a minute or two. Given how unreliable London busses can be, it would be nice if it would get information about cancellations, instead of perpetually promising busses that don't come, but this may be data TfL aren't parting with for political reasons. These are lame criticisms, admittedly, for the most part citymapper is really fine. 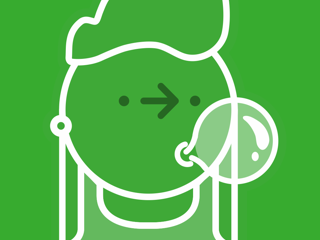 I recently went to NYC for a long weekend and though I know my way around the city pretty well I explored this visit to places I haven’t been, enter the Citymapper app. You put in where you want to and it shows you how to get there and a multitude of ways. Whether it be walking taking the train or taking the bus or taking a cab or taking an Uber or Lyft. It gives you the time of each method of transportation how long it will take you to get there and it even gives you an estimated cab and Uber/Lyft fares. If you opt to take the train like I did it tells what car to get on to be closest to an exit and it even gives you walking directions when exiting the train to reach your final destination. This app is AWESOME! I highly recommend and will use it for years to come. Thank You Citymapper.